The last time I saw this play, it was in a 2010 production directed by Garry Hynes for Druid. I caught it at the Gaiety Theatre – a venue for which it was well suited, both in terms of scale (it’s a big play) and theatre history (Tassie has its roots in music hall and melodrama, genres that the Gaiety was somewhat associated with). As often happens with Druid, one of the first things that Hynes did in that production was to de-familiarise the play. Druid audiences often arrive at the theatre thinking they know what they’re going to see: “this is a play by John B. Keane/Sean O’Casey/Martin McDonagh – so we all know what that means”. This is especially true for O’Casey, a writer cursed by the fact that audiences think they know his work extremely well, when in fact they only know three of the 20+ plays that he wrote. So with Tassie Hynes immediately faced the challenge of preparing audiences for the fact that they were not watching Juno or Plough. She did this by heightening the theatricality of the play. 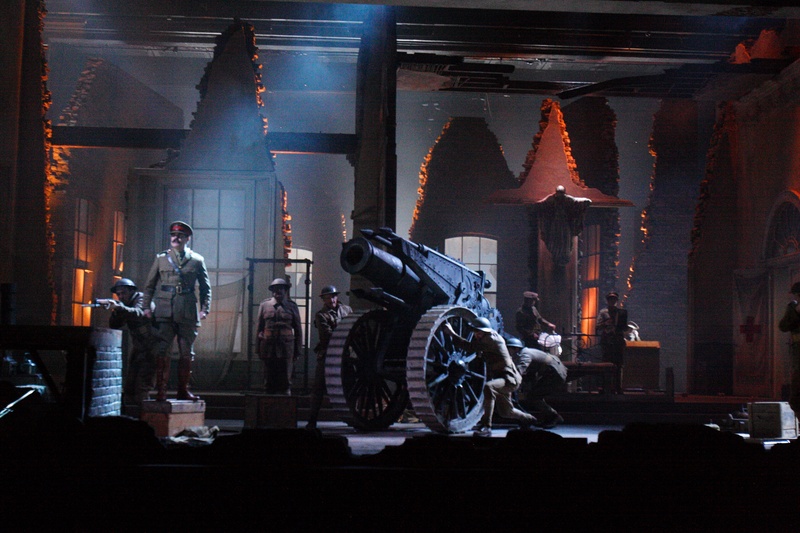 The famous “difficult second act”, set in the trenches, has several expressionistic elements in O’Casey’s script – a large gun, the use of music and chanting, the use of poetic language, and so on. The Druid production exaggerated those elements so that, for example, Francis O’Connor’s set was dominated by an enormous cannon, while Davy Cunningham lit the backdrop in a sickly luminous green (as shown in the image below). Similarly, the third act (set in a hospital ward) opened with John Olohan and Eamon Morissey standing in front of an enormous red curtain, both wearing bowler hats – placing them somewhere between Laurel and Hardy and Didi and Gogo. So the direction and design in the Druid production always ensured that the audience were distanced from the action (in a Brechtian sense) – they were always being reminded that they were watching a play – and thus were better able to go along with its strangeness. That approach is probably necessary in Ireland, because O’Casey is so well known, but although Druid’s production was very well received when it toured to the UK, it’s also fair to say that audiences in England are less familiar with O’Casey and thus are in some ways likely to be more open-minded about his work. Here Howard Davies as director plays the action fairly straight: the staging and performance styles are largely realistic, albeit to a heightened extent in the second act, and also in a particularly vivid and moving concluding coup de théâtre that highlights the role of women in the play. The second act here seems almost naturalistic; the use of song is strange but is not entirely unrealistic. Where Hynes’s Tassie drew out the expressionist elements of the Dublin Trilogy (such as the scene with the Speaker at the window in Plough), Davies in contrast draws out the realistic elements that we find in, say, Juno and shows how they follow through into Tassie. It’s interesting that Davies’ Juno (staged at the Abbey a couple of years ago before a transfer to the NT) and this Tassie are very similar in tone and visual impact. The overall impact of both Hynes’ and Davies’ Tassie is to confirm for me that this play is not an interesting failure (as it’s often described). Having now seen two excellent but very different recent productions of the play (not to mention the excellent opera version, staged about 12 years ago I think), I think that we need to re-imagine the so-called Dublin Trilogy of Shadow, Juno and Plough as a tetralogy that includes Tassie. This is partly because audiences now have caught up with O’Casey: if you’ve seen a play like Godot you can understand the use of the comic double act in Act 3 of Tassie; if you’ve seen Rosencrantz and Guildenstern are dead, you can understand why O’Casey sets the final scene in an ante-room, a place that is close to but separate from a performance being staged nearby. Act 2 – the scene in the trenches – is of course thoroughly original, but it also anticipates many of the innovations and techniques of Brecht. In short, Tassie’s time has come. So as I was watching tonight, I found myself imagining how wonderful it would be for an Irish audience to be able to see Tassie and the other three major plays in a single production, with a single ensemble. As the RSC did when they staged all eight of Shakespeare’s history plays back in 2008, the O’Caseys could be staged in order of composition (Shadow to Tassie), and they could also be staged in chronological order – Tassie, Plough, and Shadow – finishing with Juno. I feel we’d learn a lot during this so-called decade of commemorations in Ireland if we had the opportunity to see O’Casey being staged in this way. I know that an idea like this was proposed a few years ago and was the subject of a disagreement between the Abbey and Druid. It’s a pity that it didn’t work out. The move from Tassie to Juno gives us an Ireland that was part of the UK, changing into a country that had just become independent. Think of that final scene that O’Casey gives us in Juno: two drunks in a hall while the two women at the centre of the play have left the stage, to raise a baby that would be treated as an outcast in Ireland because its parents were unmarried. O’Casey gives us a vision of independent Ireland that still has relevance: he presents it as a place that would be intolerant of women, vicious towards “illegitimate” children, easily exploited by wealthy elites (especially from abroad) – and a place, finally, which would be a comfortable enough home for feckless wasters and cute hoors like Captain Boyle and Joxer. Juno is a play that anticipates many of independent Ireland’s worst failures, and can warn us against repeating them. Leaving that (probably unrealistic) idea aside, there’s a lot in this production to be delighted by. I loved the set design by Vicki Mortimer, which thoroughly refutes the idea that this is an unstageable play. The tenement in Act One is stunningly transformed into a ruined monastery in Act Two – which in turn becomes the backdrop to the hospital in Act Three. The final act drops walls in front of these structures: we know they are there but can only see them fleetingly. The image below shows her design for Act Two – a very interesting contrast to the image above from Druid. Aside from the fact that Mortimer ensures we don’t get a break in the action (and energy) between the first and second acts (the transition is seamless), there’s also a suggestion that the Irish soldiers bring Dublin with them to the trenches – and that they bring the trenches back with them to the hospital when they return. And the final act shows that the First World War is a presence in Ireland that has been rendered invisible because a new “narrative” was imposed upon it. This is thematically very interesting, but it’s also theatrically very effective, giving unity and coherence to a play that is often seen as composed of different parts that don’t necessarily fit well together. It’s also fascinating to me that the NT chose this Irish play to commemorate the beginning of the First World War. I found myself wondering how Tassie might speak to England’s sense of itself and its own history. The First World War, you could argue, brought about Irish independence: it’s impossible to imagine the Easter Rising and the Anglo-Irish War without the context and impact of WW1. 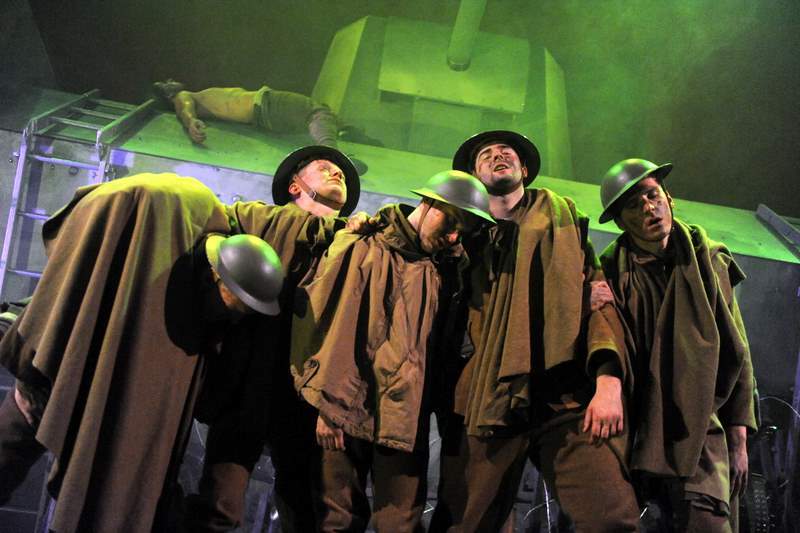 I found it very interesting that the second act of this production featured so many English accents: the Irish characters were shown here interacting with English soldiers as equals in the trenches – so for this English audience the “them” that Irish characters often represent in other plays here became an “us” that represents a shared past. At a time when a lot of people in England are expressing anxiety about the possibility of Scottish independence, it’s really interesting to view a production that adopts a mildly nostalgic view on a time when Ireland’s position in the UK still seemed secure. Also interesting of course is that as yet we have not seen much in Ireland about WWI. The only thing I can think of that is relevant might be the staging of War Horse at the Grand Canal Theatre, but while its show programme drew attention to the centenary of the outbreak of the war, that context went largely unremarked at the time. I do know that some companies are planning revivals and new productions that will address the legacies of the Great War in 2016, so perhaps we’ll all be complaining about commemorative plays by the time 2018 rolls around. Two last things to note. The acting. As you’d expect, some of the accents wander a bit from Dublin – to Cockney or Belfast. But this doesn’t detract or distract from the performances of an excellent cast. 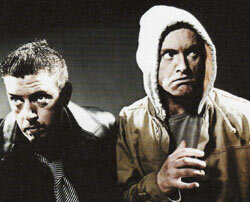 Aidan McArdle and Stephen Kennedy are very funny as Si and Syl. 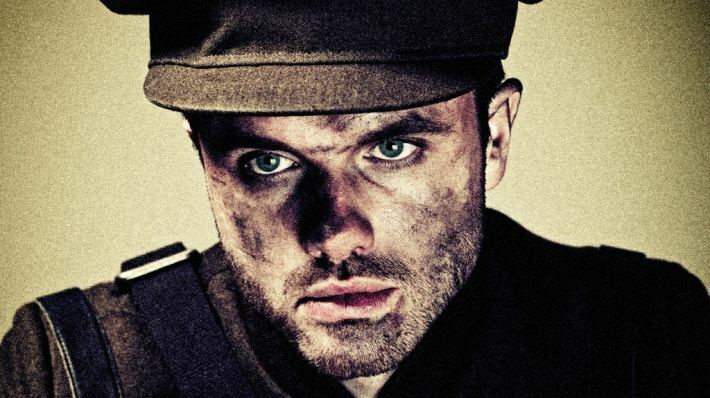 Ronan Raftery is a very good Harry: heroic in the first act, creepy in the last one. There’s a lovely touching scene between him and Aidan Kelly towards the end, in which Kelly talks about being Raftery’s eyes, while Raftery can be his legs (a nod to Yeats’s On Baile’s Strand – no wonder he rejected the play). And Judith Roddy has an excellent performance as Susie Monican, the religious zealot who is humanized (and secularized) when she gains the attentions of a staff doctor. O’Casey has a lot to say here about social class and social climbing (and religion), but I understood with Roddy’s performance how Susie’s transformation is intended to parallel and contrast with the change in Harry. That impressed me. And finally it was great to see a programme note in there from James Moran. He is the author of a book from Methuen by Sean O’Casey (declaration of interest: I am the series editor). 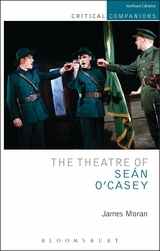 It’s a very stimulating study that argues for a new look at O’Casey, and which comes at his work from a well informed theatrical perspective. It could (and should) stimulate further productions of his works. As I write above, O’Casey did keep writing plays for more than 30 years after Tassie. The Druid and NT productions show that this play deserves more attention. Are there any practitioners out there who might like to prove the same point about some of his other plays, such as Within the Gates, Red Roses for Me, or The Bishop’s Bonfire? Last Tuesday night, I was delighted to be able to chair a post-show discussion about Howie the Rookie with its author and director Mark O’Rowe and with its star (and he really is a star) Tom Vaughan-Lawlor. O’Rowe spoke at length about his composition of Howie, which first appeared in 1999. He’d been commissioned to write a play for the Abbey, he explained – but, as an inexperienced writer, he found himself writing what he thought of as an “Abbey theatre play”. In consequence, the play was not very good and was rejected. This caused a sense of crisis which moved towards resolution when O’Rowe read Samuel Beckett’s Molloy. The novel features two lengthy monologues by a pair of distinct but inter-related men – which inspired O’Rowe to write a play that features two lengthy monologues by a pair of distinct but inter-related men. He also spoke about how liberating he found Beckett’s prose, which doesn’t really have a plot or conclusion. His own play is tightly plotted and reaches a strong ending, of course, but the sense of freedom he found in Beckett helped him to find his way into the play. Howie the Rookie was a huge hit when it premiered in London in 1999. It featured Aidan Kelly as Howie and Karl Shiels as the Rookie, and was a success both in Ireland and internationally. Kelly and Shiels’s performances are recalled affectionately by everyone who saw them – and they reprised them in the Peacock in 2006 in a production directed by Jimmy Fay. After a few minutes of discussing the play together, we were joined on stage by Vaughan-Lawlor – so I asked him how it felt when he was told that he’d be taking on not just one of these famous roles but both of them. Vaughan-Lawlor spoke of the immediate feeling of both fear and excitement, and later mentioned that he’d spent most of the final three months of 2012 learning the roles, so that he could arrive at rehearsals ready to work on the details. I asked him if he needed to do anything to shift from one role to the other: was there some sort of thinking that he needed to do during the interval to move from Howie to the Rookie, I wondered. He chuckled apologetically: “to be honest, I don’t do anything,” he said. “I just change my t-shirt”. Later the conversation turned to the question of whether Howie and the Rookie are separate characters, with Vaughan-Lawlor implying that he sees them both as different facets of one personality. For O’Rowe the revival was also an opportunity to revisit the script. He stated that he hadn’t changed much of the play’s language. Rhythmically it sounds closer to O’Rowe’s 2007 verse-play Terminus that to the original Howie, but that similarity probably owes more to the direction than any rewrites. He did state, however, that he’s made some very small changes to the presentation of characters such as the Avalanche and White Pudding boy: he wanted to make clearer that the negative views expressed about them were based on the characters’ perceptions rather than any reality. And indeed in performance both come across more sympathetically than was the case in previous productions of the play. We touched on a few other topics, with both men speaking warmly about how the producer Anne Clarke had put the show together – and about how, despite having now performed the play in Dublin, Cork and Galway, they are still making small changes to the performance. We soon opened the discussion out to the audience, and there were some great questions: about the language, about whether the play could be understood abroad (it already has been, replied O’Rowe), and so on. I had seen in one of the back rows that someone had a hand up, but couldn’t clearly see the person’s face. I became a bit worried when I called on the person to make their comment and realised that the speaker was a boy, aged maybe 10 or 12. “I have a question for Mark and Tom,” he said – and the audience laughed with good-natured surprise. “That’s Mark’s son,” explained Tom – and the audience gave a big “awww”. “Did you enjoy writing Howie the Rookie, Mark?” said the boy, clearly enjoying himself. “Well… well, yeah, I suppose I did,” said Mark. “I think you must have worked very hard on it” replied the son (“awww” said the audience again). He then asked Tom if he’d enjoyed performing in the play. Tom later explained that he and Mark had prepared a version of Howie for Mark’s kids – but with all of the material unsuitable for children taken out. “It was about twenty minutes’ long” said Tom. The conversation returned to family when I asked the two speakers what their plans are for the near future. Tom finished recording the fourth season of Love/Hate just before he went into a four-week rehearsal for Howie, so he said he was looking forward to getting back to his family: he spoke movingly about how his wife, who is also an actor, makes so many things possible for him. Mark revealed that he’ll have an original new play opening next year – which is a very exciting prospect. Howie now heads to Edinburgh, and you’d have to assume it will do very well there. When I did that post-show talk I was in the unusual position of not having seen the production (though I do know Howie very well and had chatted with Mark O’Rowe about it during the Synge Summer School). I finally got to see it on Saturday afternoon in the new Taibhdhearc. It’s been said by many people already, but Tom Vaughan-Lawlor’s performance is exceptional. When he said at the post-show that all he does during the interval is change his t-shirt, I thought he was being modest (which of course he was). But what really surprised me is that he was also telling the truth. He makes no attempt to suggest that the two characters are radically different from each other. In each part of the play, the voice is the same, the body language is the same – and if the performance of Howie seems more energetic in some ways, there are also some surprising similarities between the two roles. In each performance, for example, there is a moment when Vaughan-Lawlor has to enact a dive – and in each section there is also a very long pause which shows that the character has suddenly realised something important about himself. These moments of affinity between the two characters fit the play’s themes (in which apparently everyday objects like the appearance of a green Hiace van take on a symbolic connotation) – but they also create powerful thematic and emotional links between the two characters. This is not to suggest that we genuinely do think that the two men are the same as each other. What’s impressive here is that we know that they are different, simply because Vaughan-Lawlor tells us they are different people. This becomes a fascinating example of how acting works, of how we can be persuaded that this person called Tom Vaughan-Lawlor is both Howie and the Rookie, just as is he is Nidge from Love/Hate, Arturo Ui, Christy Mahon, Joseph Surface, Vasily Solyony, and many others. Like so many great actors, he is always both himself and the character he is playing. The performances of Kelly and Shiels in the original Howie were memorable for many reasons. Kelly has a special ability to blend toughness with vulnerability – and this made his Howie sympathetic, even as we might have been bothered by his selfishness, his casual attitude to violence, his misogyny, and so on. And Shiels captured a sleazy charisma in the Rookie that immediately made clear why women like him so much, and why men have so little respect for him. Anyone who can deliver his opening lines about breaking “hearts and hymens” without losing the audience’s sympathy needs a bit of charm. Shiels has plenty of that. Vaughan-Lawlor’s performances of the two characters are very different. With any monologue play we need to know why we are in a theatre, hearing the story being acted out. In Faith Healer, we learn that at least two of the three characters are dead – so their monologue becomes a way for them to try to make sense of the tragedies that ended their lives. In McPherson’s Port Authority, we are told that the play is “set in the theatre”, so the reason the stories are being told to us is simply because we have come to the theatre to hear them. In this performance of Howie, there is (as in Faith Healer) the fact of mortality – because (and this is a spoiler for those who haven’t seen the play) one of the characters is trying to work through the causes not just of his own death but also of the death of a beloved family member – while the other is trying to understand his own role in that tragedy. The story is being told obsessively because it’s a metaphor for what happens when people try to come to terms with tragedy: we replay a story in our minds because we are desperately trying to find some way of understanding what happened and, perhaps, trying to find some tiny detail that might have led to a different outcome. In setting the stakes this high, Howie puts itself in the same thematic (and formal) space as Faith Healer – and has a similar impact, even though of course the two plays are very different from each other as well. Vaughan-Lawlor’s performance is stunningly energetic (he spoke in the post-show about how, in the early rehearsals, he’d found himself completely exhausted half-way through the first monologue and wondered how he was going to keep going). He doesn’t just tell the story: he creates the world of the play, filling the space of the stage with jumps and shimmies and crouches and sudden changes of pace. There are times when it almost feels as if he’s dancing, with his words and his gestures matching each other with a rhythmic precision that seems almost like rap. But the energy makes sense of the question of why the story is being told in the theatre. We sense in the rapidity of movement a desperation to understand something, and perhaps even an impulse to atone for something. The characters are telling the stories because they are memories that neither man can let go of. Vaughan-Lawlor on several occasions gestures directly to the audience: a raised-eyebrow, a half-wink, a smile in our direction – all are used to suggest that these characters are speaking to us, and that they assume we are on their side, that we understand their values and their actions. And of course eventually we do. This production of Howie feels very rich, very emotional, and Vaughan-Lawlor’s performance is both technically and emotionally impressive: to use a reviewers’ cliché (but I mean it literally), he delivers a performance that is unforgettable. Vaughan-Lawlor is so impressive because of his ability to match his vocal and physical performances with an underlying comprehension of the emotional force and importance of the story. Everything he does makes sense not just in itself but also in terms of the play overall. In the post-show talk, Vaughan-Lawlor said that he felt like he’d only done the play about ten times (in fact, it’s closer to 60 at this stage). But to me it felt like he’d done it a great many more times than that: the performance has the kind of integrity, depth and coherence that you’d expect to see in a show that’s been running for a number of months. That performance – especially the link between voice and body – reminded me of another terrific performance in the Galway Arts Festival, which is that by Olwen Fouere in Riverrun. And indeed those were the two performances that everyone was speaking about in Galway during the latter half of the week. A phrase that was constantly being used about them was that they were “virtuoso performances”. I’m a bit suspicious of that term, partly because it’s another one of those awful reviewers’ clichés (“bravo!”), and partly because I’ve heard some great research papers by Aoife Monks on the subject of Irish virtuosity. But insofar as people meant the term as a compliment I would agree with it. And indeed, I think it’s also accurate in the sense that part of the pleasure of going to either performance lies in sitting back and just enjoying the acting: you don’t even necessarily have to pay attention to the play itself. With both Fouere and Vaughan-Lawlor, some of the enjoyment comes from repeatedly having one thought: I can’t believe how well they are able to do what they are doing. That’s been a theme through what has been a great Galway Arts Festival: we kept seeing not just great work, but very skilful performances. In addition to Riverrun and Howie my favourite moment in the Festival was the gig by Grizzly Bear: it was a pleasure to be able to listen to music being played by a group who are such skilled musicians and such excellent singers – I was listening to it, realising repeatedly that I was never going to have another experience quite like this again. I know a lot of our Festivals try to build an identity in various ways – the Dublin Theatre Festival, for instance, is running under the banner “come out and play” this year. But in this year’s Arts Festival, the unifying theme was artistic excellence: there was something reassuring and genuinely inspiring about seeing so many artists who are literally among the best in the world in their chosen fields. And, yes, I’m including Vaughan-Lawlor in that category – because what his performance in Howie makes clear is that he’s not just one of the best actors in Ireland, but is genuinely world-class. My discussion of the post-show talk, given at the start of this blog post, is based on my recollection of events. I didn’t take notes, and there is no transcript of the discussion. So the statements above are subject to later correction if they are proven to be incorrect, though of course I hope they are accurate.